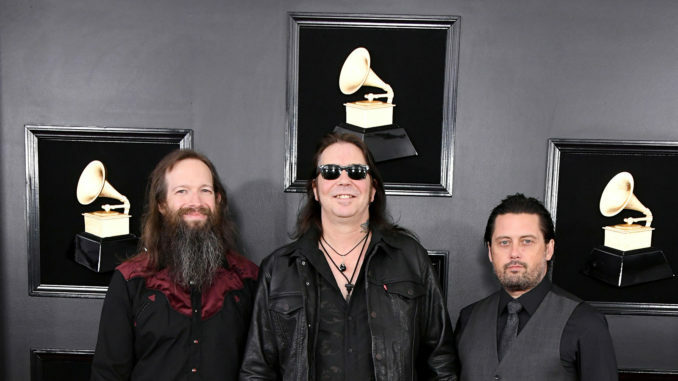 In a win that no one seemed to see coming but that everyone in the metal underground was super stoked about, stoner-metal titans High on Fire took home the trophy for Best Metal Performance at this year’s GRAMMY, which were doled out yesterday (February 10th) at the Staples Center in L.A. As has been the case in recent years, the rock and metal awards were once again relegated to an un-televised pre-awards show ceremony held at the Microsoft Theater and streamed via Grammy.com. In the Best Rock Album category, rising Zeppelin-esque throwbacks Greta Van Fleet claimed the Grammy, beating out Alice in Chains, Ghost and more. Chris Cornell posthumously won for Best Rock Performance, with his children Toni and Christopher accepting the trophy. Halestorm frontwoman Lzzy Hale — whose band was nominated in that category — was among the presenters at the ceremony.